If you're looking to buy replacement Yamaha golf cart parts, you are in the right place! We have Yamaha parts for sale for all Yamaha golf cart model types and years - at amazing prices! Designed and engineered in Japan, by a multinational conglomerate, Yamaha golf carts are known for their operational longevity, mechanical excellence and reliability. Yamaha noticed the growing golf cart / small vehicle market back in the mid 1980s, and began manufacturing it's own high-quality carts in the year 1988. Yamaha golf carts can be seen cruising around many of the most prestigious golf courses in the world, and while Yamaha golf cars are great for the golf course, they are also wonderful for getting around the neighborhood, the lake house, the farm and through the woods. These golf carts can tackle many terrain types, and can be modified and customized to become even more capable than they are from the factory! Golf carts, just like cars, eventually have parts that wear out on them. In order to make sure your Yamaha golf cart is operating in top-shape (and safely) you need to perform preventative maintenance on your cart. And while it is more fun to trick your car out with custom Yamaha golf cart accessories than it is to spend money maintaining it, inevitably you will need to replace broken items on your cart at some point. And we are here to help! The Golf Cart Tire Supply carries the highest quality Yamaha Golf Cart Parts on the market. Whether your Yamaha cart is gas or electric, we have the replacement golf cart parts you need, and are here to help you enhance your Yamaha's look, reliability, capability, safety, and more! Find replacement Yamaha golf cart parts or upgrade your golf cart today. We stock thousands of Yamaha Golf Cart Accessories and Yamaha parts for all model years to make your cart stand out! From Yamaha Golf Cart Battery Cables, Yamaha Golf Cart Clutches, and Yamaha Golf Cart Motor offerings, to Yamaha Bodies and Yamaha Golf Cart Batteries (to keep your cart running strong) and more! We have you covered on all the parts you need for your ride! We also carry thousands of Yamaha Golf Cart Accessories that will help you take your cart to the next level, and make your golf cart more like YOU! No one does it better than the Golf Cart Tire Supply when it comes to offering Yamaha golf cart parts and other replacement items for your golf cart. We are your personal industry connection, and a resource you can trust. And we are here to support YOU! We here at the Golf Cart Tire Supply lead with service, are addicted to quality, and we consistently provide our customers with love and honesty during their shopping and post-shopping experience! These guiding principles have lead us to be the #1 choice of tens of thousands of happy golf cart owners. We sell only the highest quality Yamaha golf cart parts and accessories in the industry! You will find that our Yamaha golf cart parts categories are easy-as-pie to navigate. Just click on any category to start shopping all of our Yamaha OEM Parts or Accessories (organized purposefully, so you don't get lost trying to find the part you need)! When shopping with the Golf Cart Tire Supply, you can trust you will have the widest selection of items to choose from and that you will get the best price (we always price match). So shop now! Choose any one of the thousands of Yamaha parts we stock for your golf cart and let us serve you today! Keep in mind: We ship nationwide, don't charge sales tax (unless your state mandates it) and most orders ship for FREE! And we ALWAYS price match. Have questions about your Yamaha golf cart? About fitment? About a certain part or accessory? Great! We are here to help you find the best Yamaha golf cart parts and Yamaha golf cart accessories, and to answer anything you want to know about your Yamaha golf cart. 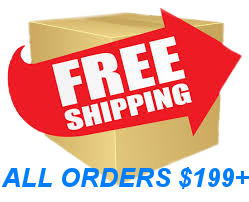 Just call 1-844-422-7884 or send an email to info@golfcarttiresupply.com to get the answers you need about your Yamaha golf cart parts and accessories!